The YouTube website is probably the world’s biggest library of songs and music videos that you can watch on any device. You can play your favorite music on the YouTube website and let it stream in the background while you work on other important tasks. This is only possible on desktop computers and not mobile devices since YouTube on mobile stops playback as soon you put the video player in the background. The YouTube app, or the YouTube website, needs to be in the foreground else the video pauses itself. 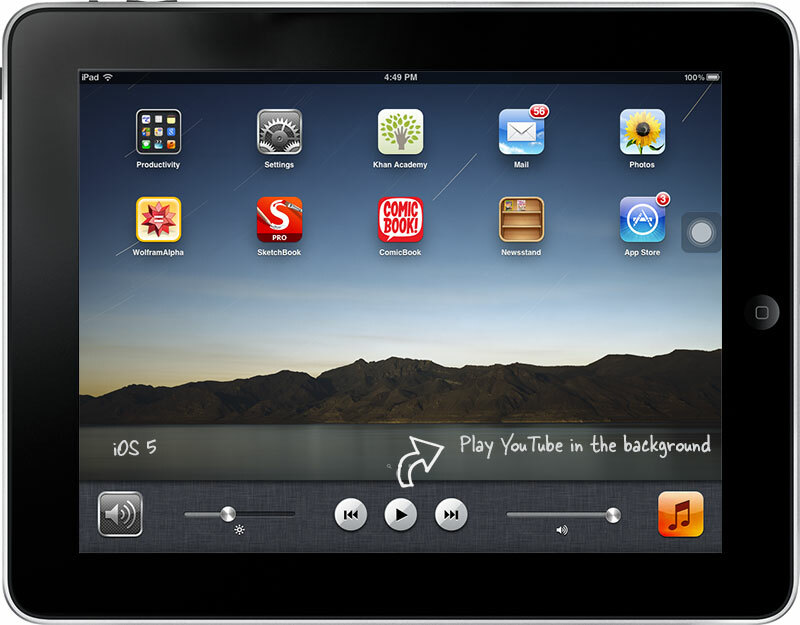 Open the Safari browser on your iOS device and play any of your favorite song on the YouTube website. Now tap the Home button to go to the home screen, or swipe to switch to a different app, and you’ll notice that the YouTube video has stopped playing. Swipe up from the bottom of the screen to open the Control Center and tap the Play button. Voila! The paused YouTube video will resume playback and you can now switch to any app on your iOS device while the audio streams in the background. If you are using an older model of iPhone or iPad that has not been upgraded to iOS 7, you can still use the same technique to “listen” to YouTube videos playing in the background. Instead of the swipe-up gesture, double-press the home button and swipe the notifications bar from left to right. Press the “Play” button to resume the paused YouTube video. 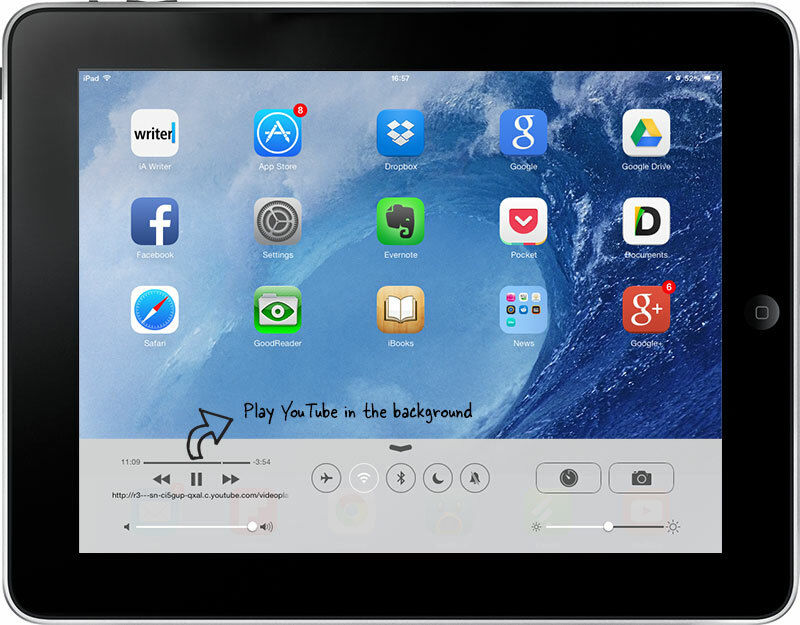 Whether you are reading ebooks on the iPad, browsing web pages or responding to emails on the iPhone, you can finally use YouTube to play some great music in the background. Double-press the home button and swipe right to Play videos in iOS 5.